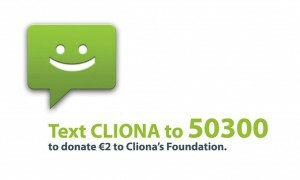 Great competition this week in aid of Cliona’s Foundation in conjunction with Lifting Limerick. With the championship starting we are giving you the chance to win 2 x tickets to the All Ireland Hurling Final with accommodation in Dublin. It is €20 to enter with all proceeds gong to Cliona’s Foundation – simply guess the score in the upcoming Limerick vs Clare match. There is also the chance to win a runner up prize of a hamper. If you would like to enter please call Brendan on 087-2518949.